TOPIC – HE IS PREPARING YOU! YOU! God prepare David to kill Goliath through the battle he fought with lions and bears in the forest! Moses’ life – He discovered what God could do with nobody (Exodus 3 –Exodus 4) . Footballers train! forget: “The fell because their people were not fit.”You will not fall! You will be fit! This is your year! 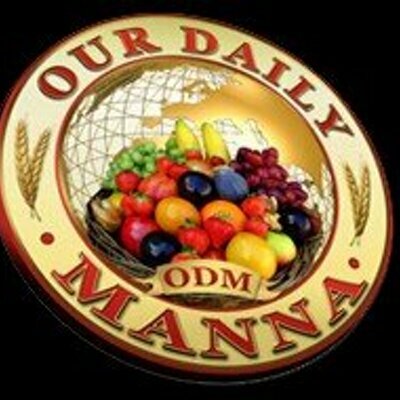 READ Our Daily Manna Devotional May 14 2018 By Dr Chris - POSITIVE THINKING: NOT FAITH! 3. Lord, break me, mould me and use me in 2018! 4. Pray about today SERIOUSLY now. See page 7-9 daily prayers. God is really working wonders and miracles in my family en my country at large. praise jesus Christ. and please its my humble request that you send me odm 2018. thank you. God bless you.